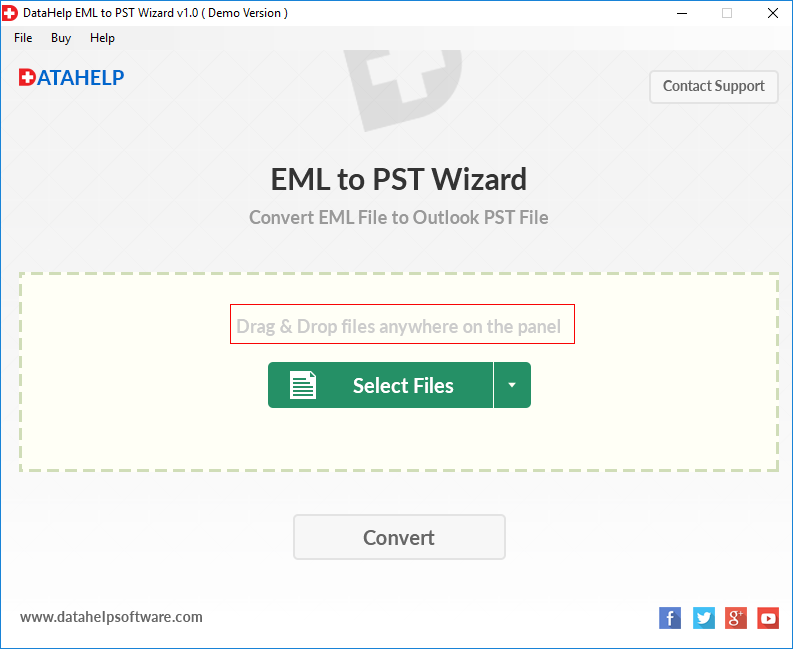 How to Import EML Emails to Outlook 2019, 2016, 2013, 2010, 2007, 2003? Due to continuously increasing demand for MS Outlook, users are instantaneously migrating from multiple email clients to Outlook. With the help of Outlook, users can send/ receive emails, manage calendars and contacts, etc. Nevertheless, replacing an email client with another is not that simple as each application has its own separate file format to store data. Microsoft Outlook stores its data in PST file format. Whereas Outlook Express, WLM, Thunderbird, SeaMonkey, and Apple Mail uses EML format for the same. Thus, it becomes essential to make data compatible to target application before executing the conversion. 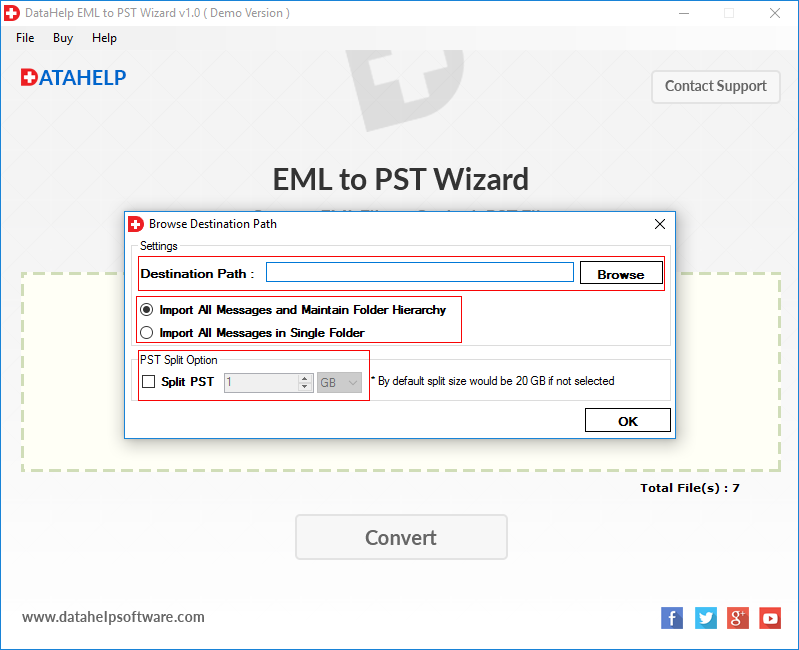 This article explains how to import EML messages to Outlook along with reasons to execute such migration. So, let’s start it out. Network Error: Depending upon the variety of factors, there may be some issues with internet connection. Such problems will generate interruption while working with applications that support EML files. Human Fault: It is obvious that while working with one or another email application, users may alter some default settings of the email application. This could result in occurrence for the need to import EML messages to Outlook if in case some error occurs due to change in default settings. Aside from the above-mentioned reasons to import EML emails to Outlook 2019, 2016, 2013, 2010, etc editions, it is possible that there may be some other reasons for the same. It is so because the factors are totally dependent upon email clients who automatically generate/uses EML files. Launch both MS Outlook and Windows Live Mail applications on your local machine. In WLM, click on the File tab and highlight Export option and select the Email messages. Now, choose Microsoft Exchange as the export option and hit the Next button. After this, you will get a pop-up that all emails will be exported to MS Outlook/ Microsoft Exchange. Click OK.
You can either migrate all email folders or select only appropriate folders that you need to export using Select folders option. Then, click OK and let the export process complete successfully. After prompting Export Complete wizard, click Finish. Note: Windows Live Mail and Outlook application installation on the local machine is obligatory to execute the conversion. Also, from the beginning of the procedure, it is mandatory to open MS Outlook in the system. This method can be used when EML files are separately saved on the computer and no EML supported email client is installed to access them. But, it is mandatory to have Outlook on the local machine to perform the instructions. With this way you can open an EML file in Outlook. Navigate to the location where EML files are saved and then select a file. Drag the selected EML file and drop it into Outlook application. Now, you can open & view EML into Outlook. Note: Proper installation and configuration of Outlook application is essential to opt this method. Launch Microsoft Outlook on your machine. Go to File, select Open & Export then, Import/Export. Select Import Internet Mail & Addresses >> Outlook Express >> Next and then click on Finish to export EML files to Outlook 2016, 2013, 2010, 2007, 2003. Note: Installation of Outlook Express is mandatory to execute the above process. However, Outlook Express is a discontinued email client of Microsoft. High Chances of Data Loss: It is not guaranteed that data before performing file migration will be the same after migration. However, with help of these approaches email attachments are rarely migrated to Outlook. Loss of SMTP Headers: Strategies which are discussed above will modify the SMTP header part of an EML file. Along with header part, the changes will also be performed in meta properties of EML file. If users worth the integrity of the EML file, especially when they work in the computer forensics then, this may occur a serious issue. Time-Consuming and Tedious: If users have many .eml files to open with Outlook then, manually executing this task will take a lot of time and physical efforts. Click on Select Files option to import the EML files (which you want to export) into software panel. Click on the Browse button and select a destination location for the resultant file. Check Import All Messages and Maintain Folder Hierarchy option. Click OK and the software will start exporting EML emails into Outlook data file. Now, you can simply import the output file in MS Outlook to view and access EML emails data. How to import EML emails to Outlook 2019, 2016, 2013, 2010, 2007, and 2003 is such a common user query. In order to resolve this issue, we have discussed multiple manual solutions for the same in this post. However, manual methods include some serious limitations that can make users think twice before using them. Hence, an automatic and error-free solution is also recommended here.